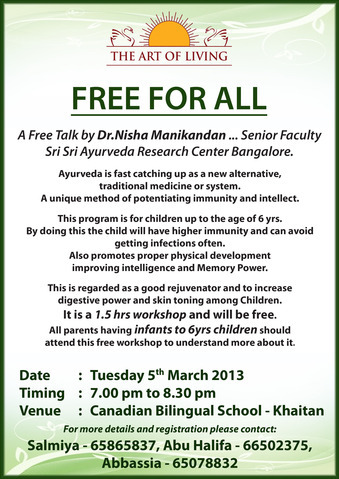 Please find attached details about a talk on Ayurveda Immunity booster for children under 6 years of age. Parents are welcome to attend this free work shop by Senior Ayurveda Doctors from India, Dr. Nisha Manikanthan and know more on how to improve the immunity in children and make them less prone to diseases. 14 Days Fun Learning Classes For Kids: Indian Fusion/Bollywood Dance + Art & Craft Classes under one roof! Classes will be held from March 16th to March 31st from 10:30am to 12:30pm (Friday holiday). Age 4 years onwards. Limited seats! Register before March 5th! Delhi Government issued notification for recruitment of 1613 Nurses posts under Government of NCT of Delhi / New Delhi Municipal Council / Municipal Corporations of Delhi (SDMC, NDMC, EDMC). Selection will be done on the basis of Candidates‘performance in the 2 hour objective type/MCQ examination. Examination Fee : OMRapplication form can be obtained by paying Rs.110 (Rs.100 as examination fee + Rs.10 as cost of OMR application form) in cash at the concerned centres.SC / ST / PH / EX-SM are exempted from payment of examination fees. They can obtain the OMR application form by paying Rs. 10 only. 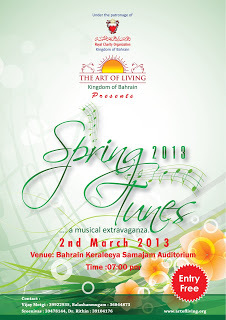 With great pleasure, we would like to invite you for the SPRING TUNES 2013, musical concert by renowned singer Dr. Manikanthan Menon.Kindly spread the word and be a part of this event. Your support and cooperation will be highly appreciated.